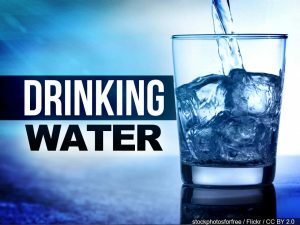 The Indiana Department of Environmental Management says the water in Wheatland is safe to drink. Last week, we told you about a number of questions local residents had about their drinking water after an IDEM inspection revealed the overflow pipe on the town’s water tower could allow for the possibility of birds entering the tower, but likely not able to get out. According to an IDEM Inspection Summary Letter, the town was told what they needed to fix on the tower on August 16th, 2018. That letter states the town had 30 days to respond with their plans to rectify the situation, a deadline IDEM says Wheatland missed. Because of that, they will be issued a Letter of Non-Compliance. They must respond to the non-compliance letter with a reasonable timeline to correct the deficiency. At their meeting last week, the they accepted a bid from Leary Construction to extend the overflow pipe, have it point straight at the ground, and be covered by a vent at the end, as to keep anything from getting in. That bid from Leary Construction had been submitted in September of last year.